Solid State drives are what the enthusiast market wants for storage. This has been the case since the first SSDs hit the market a few years ago. However, the drives were too expensive for most and ended up being available to very few. In the last year or so the price per Gigabyte has dropped to almost $1 making the SSD a more viable option for not only the enthusiast but also for the regular consumer market. Additionally with the introduction of high-performance, low cost SATA 3.0 Controllers for SSDs the performance of these drives has made them almost too good to pass up. As far as completion and variety the SSD market is also better now than the traditional magnetic media market. There are simply more companies making SSDs than there are making HDD. We have already taken a look at a few of these in the past and are now working into the new line of SATA 3.0 drives complete with the SandForce 2281 SATA 3.0 controller. 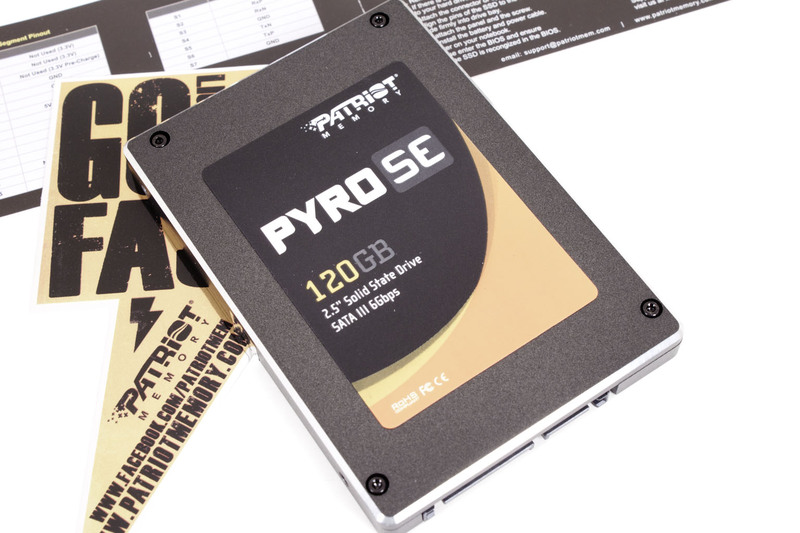 Today we have one from Patriot Memory, the PyroSE 120GB solid state drive. Let’s see just how fast it is.